It seems odd that NBC’s made-for-TV movie of The Hobbit, which first aired on November 27, 1977, should be so divisive among fans. It is, after all, not only a faithful adaptation of the book upon which it is based but it is also the first adaption to the screen, both large and small. 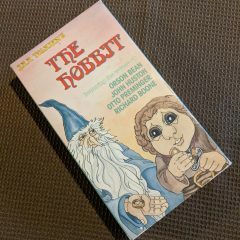 That’s right, 1977; 35 years before Peter Jackson’s trilogy of the same name debuted, 24 years before Jackson’s Lord of the Rings trilogy first debuted, and one year ahead of Ralph Bakshi’s animated critically acclaimed Lord of the Ring, there was Rankin/Bass’s The Hobbit.